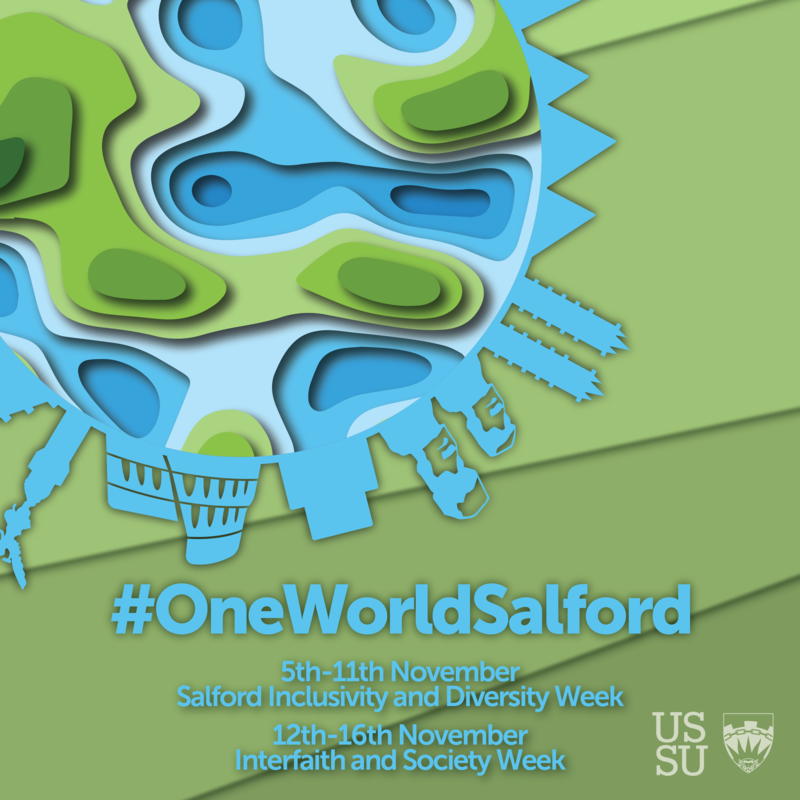 One World is back here and it's bigger and better than ever! We've got a fantastic range of social and informative events on offer from the Students' Union, the Library, Sports Centre, Inclusion & Diversity, Faith Centre, student groups, and much more! 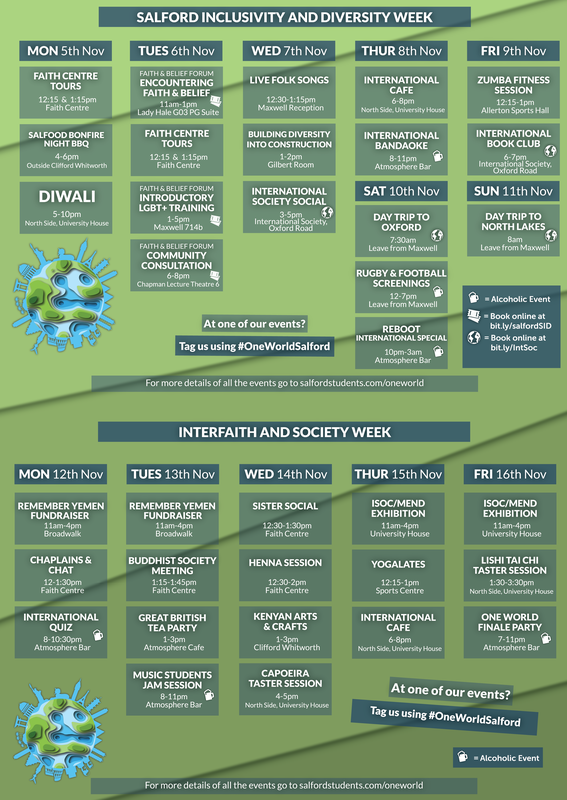 Our mission is to celebrate inclusivity and cultural diversity on campus with a wide range of events, try some new activities, learn about current issues or simply come and meet some new people! 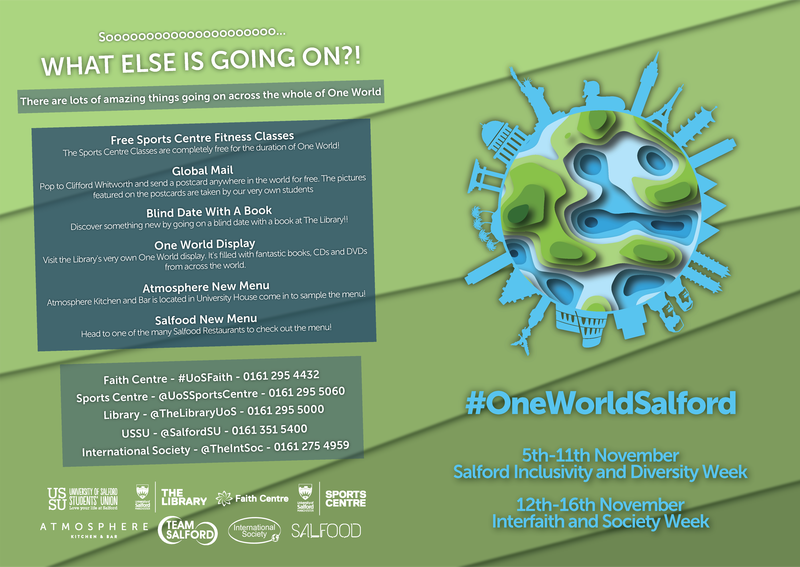 Check out the schedule below, and don't forget to get in touch with us using #OneWorldSalford!